Clark, Annette Mcfadyen. "Gwich'in". The Canadian Encyclopedia, 16 October 2018, Historica Canada. https://www.thecanadianencyclopedia.ca/en/article/gwichin. Accessed 18 April 2019. Gwich’in (formerly Kutchin), meaning “one who dwells (in)” or “the inhabitant of,” are Dene (Athabaskan)-speaking Indigenous peoples who live in northwestern North America. These communities comprise the Gwich’in nation, which is often referred to collectively as Dinjii Zhuh. There are thought to be between 7,000 and 9,000 Gwich’in living in communities in Alaska, Yukon and the Northwest Territories. 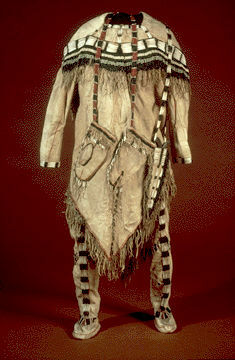 Adults and children alike wore V-tailed summer shirts decorated with red ochre, dentalium (beads made with seeds) and dyed porcupine quills (courtesy CMC/K-75-954). 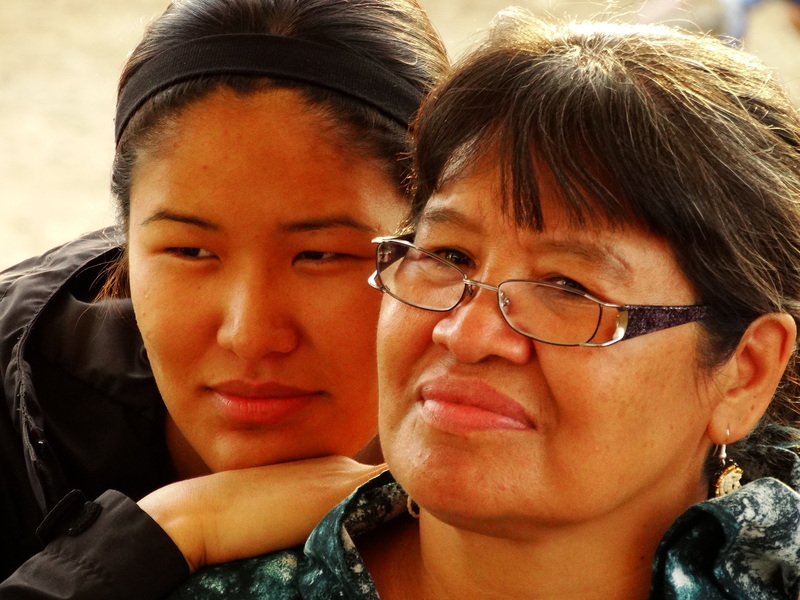 Gwich'in mother and daughter at the Midway Lake Music Festival near Fort McPherson, Northwest Territories (2013). Vuntut Gwitchin, meaning “people of the lakes,” refers to the people who live in the settlement of Old Crow, Yukon (i.e. the Crow Flats area). Located 128 km north of the Arctic Circle at the confluence of the Porcupine and Crow rivers, Old Crow is the northernmost Yukon community. In the 2016 census, 220 people reported having Indigenous identity in Old Crow, though this figure does not reflect the number of registered Gwich’in or other Indigenous peoples. Gwich’in communities in the Northwest Territories are located in the Mackenzie Delta region. These include: Teetl’it Zheh (Tetlit Zhe or Teetł’it) Gwich’in (Fort McPherson), Gwichya Gwich’in (Tsiigehtchic, formerly Arctic Red River), Ehdiitat Gwich’in or Ehdii Tat (Aklavik) and Nihtat Gwich’in (Inuvik). According to the Gwich’in Tribal Council, there are about 3440 Gwich’in people living in the Northwest Territories. Gwich’in communities in northeastern Alaska include Arctic Village, Dendu Gwich’in (Birch Creek), Draan’jik Gwich’in (Chalkyitsik), Danzhit Hanlaih Gwich’in (Circle), Gwich’yaa Gwich’in (Fort Yukon) and Neets’ąįį Gwich’in (Venetie). About 1,500 Gwich’in are thought to live in Alaska. Regional bands traditionally depended on moose and caribou	hunting in upland areas, and salmon fishing in lowland areas. Even though big game supplied the greater part of their food and hides for clothing and shelter, the Gwich’in also caught whitefish, hare and other small game. They ate plant foods such as berries	and rhubarb to supplement their diet. Gwich’in technology was similar to that of other subarctic Athabascans (see also Subarctic Indigenous Peoples in Canada), with distinctive western elements (after the period of contact), including large metal knives, sleds, chair-style birchbark baby carriers, Inuit-designed birchbark canoes with fairly straight sides and flat bottoms, and portable domed caribou-skin tents. 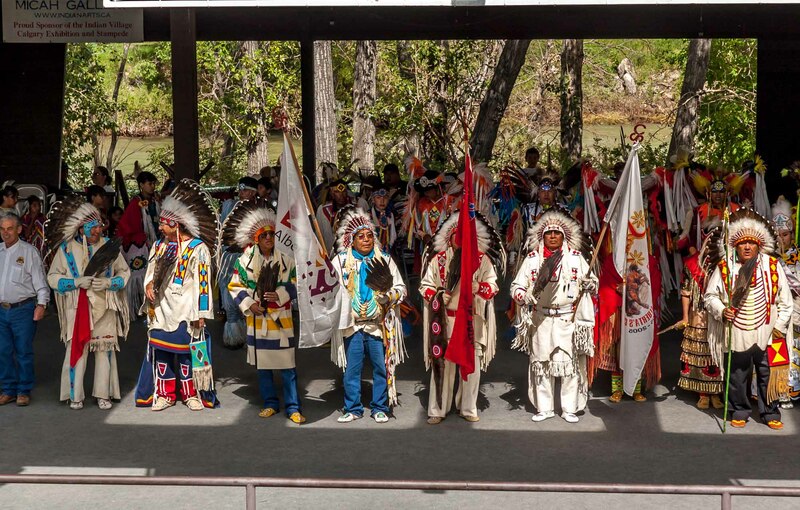 Adults and children alike wore V-tailed summer shirts decorated with red ochre, dentalium (beads made with mollusc shells) and dyed porcupine	quills. Women tattooed their chins and, on ceremonial occasions, men coiffed their hair with red ochre mixed with grease and sprinkled it with down. Traditionally, a typical household was formed by the respective nuclear families of two brothers or sisters. Several households associated with the same senior person or chief made up a local band, and worked together to build caribou surrounds (enclosures used to snare caribou) and large fish traps. Sometimes larger groups met to hunt. Several local bands formed a regional band, which was maintained through intermarriage and other interactions between families. Regional bands assembled for annual festivities and ceremonies such as marriages, funerals and feasts that marked the birth of a first child, a son’s first kill of big game, or the end of a daughter’s puberty isolation. Three matrilineal clans cross-cut the band structure and regulated marriage: Nantsaii, Chits’yaa and Tenjeraatsaii (Teenjaaraatsyaa). 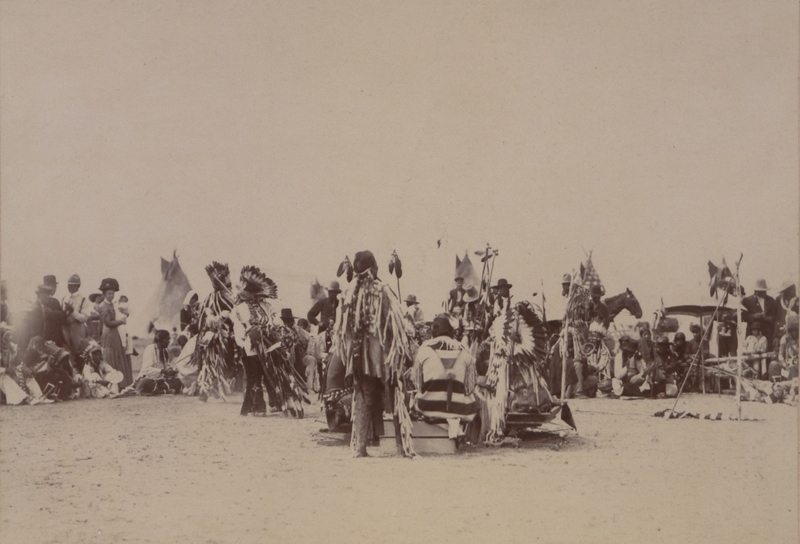 Though not much is known about these historical clans, it is said that Nantsaii and Chits’yaa (Chi’ichyaa) were considered primary clans, whereas Tenjeraatsaii was reserved for children, people outside of the clan system and people who married within their own clan (which was considered taboo). Today, Gwich’in bands in Canada are regulated under the Indian Act. Organizations such as the Gwich’in Tribal Council and Gwich’in Council International serve communities in Canada and the US and represent their issues and interests to their respective governments. Gwich’in culture is deeply connected to the land and its resources. Hunting, trapping and fishing remain significant elements of Gwich’in economy and way of life. Institutions such as the Gwich’in Social and Cultural Institute seek to preserve and promote the traditional knowledge and language of the Gwich’in. Music, dance and certain Dene customs also permeate Gwich’in culture. The Gwich’in have adopted and adapted fiddle music and jigs. The Duck Dance and the Rabbit Dance are just two of many traditional dances. As in many Indigenous communities, drumming is culturally significant and can be heard at different gatherings and ceremonies. The Gwich’in also share certain cultural practices and customs with other Dene peoples, such as the Slavey. The Gwich’in participate in Dene games such as Stick Pull and Hand Games. (See also Arctic Winter Games). The residential school system tore Gwich’in children and families apart from their culture. While the legacy of residential schools still lingers, Gwich’in culture has survived. Various educational institutions now actively seek to reclaim their culture, history and heritage. Story telling is an important part of Gwich’in culture. People often gathered to hear stories from elders and others who spoke of the past and of Gwich’in legends. Stories told about the origins of humanity, nature and animal life. They also taught lessons and transmitted Gwich’in spiritual beliefs. There are variations of the Gwich’in creation story. However, most generally state that Man and Caribou were created with a piece of the other’s heart in his own. In this way, they are spiritually, physically and mentally connected. They know each other’s habits, respect one another and help each other to survive (i.e. the Caribou provides food for Man, and Man only takes what he needs and protects the environment of the Caribou). The Gwich’in speak a Dene language that is also known as Loucheux, Kutchin or Tukudh. At the time of contact, there were nine distinct Gwich’in groups, each of which spoke its own dialect. Changes in population due to epidemics and other factors resulting from contact with Europeans resulted in the amalgamation of some groups and their dialects. Today, there are two main Gwich’in languages (although there are various dialects within each): one that is spoken in Alaska and the other that is spoken in the Yukon and the Northwest Territories. Gwich’in is one of the official languages of the Northwest Territories. Archdeacon Robert McDonald (1829-1913), a Protestant missionary who worked amongst the Gwich’in in the 1860s, developed the first writing system for the Gwich’in language. In collaboration with the Gwich’in, McDonald translated the Bible and other prayer and hymnal books that some still use today. However, the language has evolved since the 1860s, and is now characterised by a modern writing system. Developed by linguist Richard Mueller, and adapted by the Yukon Native Language Centre in the 1970s, the new system reflects sounds in the Gwich’in language more consistently and accurately than the older version. Gwich’in youth are more familiar with the modern style of spelling and orthography. Although figures differ depending on the source, the 2016 census reported that out of the Indigenous population, 270 people reported Gwich’in as their mother tongue. Considered endangered, organizations such as the Gwich’in Social and Cultural Institute and the Gwich’in Language Centre work with language experts and fluent speakers to maintain and strengthen the language. In 1789, the Gwich’in made contact with Alexander Mackenzie south of the Mackenzie Delta. 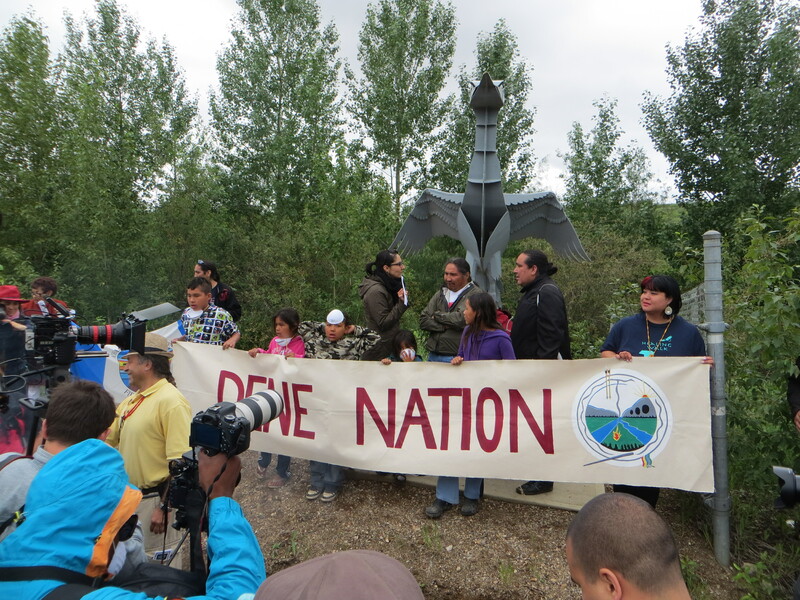 Within two decades, they were trading at posts on the Mackenzie River. This trade network prompted the Hudson’s Bay Company to establish Fort McPherson on the Peel River in 1840 and Fort Yukon (Alaska) in 1847. Having served as intermediaries in trade between the coastal Inuit and interior Indigenous communities, and between the Mackenzie and Yukon communities, the Gwich’in resented the existence of European trading posts in their territory. 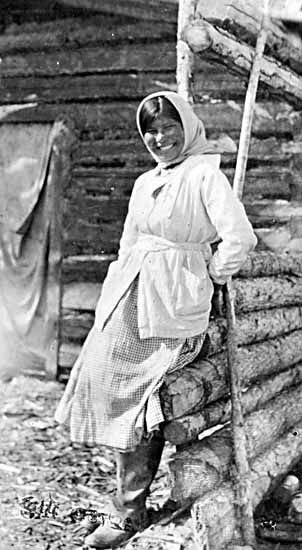 During the middle of the 19th and into the early 20th century, epidemics such as influenza significantly reduced Gwich’in populations. Old Crow	progressively became the focal point and then the only Gwich’in town in the Yukon. The Gwich’in Comprehensive Land Claim Agreement was signed on 22 April 1992, and took effect on 22 December 1992. The agreement opened new avenues for local industry and commercial development and employment, and for political, social and cultural fulfillment. The agreement covers over 22,000 km2 of land in the Northwest Territories and over 1,500 km2 in Yukon. It also includes harvesting rights for commercial wildlife activities, the right to manage wildlife, land and water regulation within public institutions and the transfer of monies from the Government of Canada to the Gwich’in Tribal Council. The land agreement provides the Gwich’in with the means to further develop self-government	and to ensure the general welfare of its people. The current Gwich’in population is thought to be between 7,000 and 9,000 persons, with slightly more than half living in Old Crow, Tetlit Zhee (Fort McPherson, where the greatest number of Gwich’in of any single settlement live) and Tsiigehtchic, or in the relatively large mixed Inuit/First Nations/non-Indigenous communities of Aklavik and Inuvik. The remainder (approximately 1,500 people) live in Alaska. 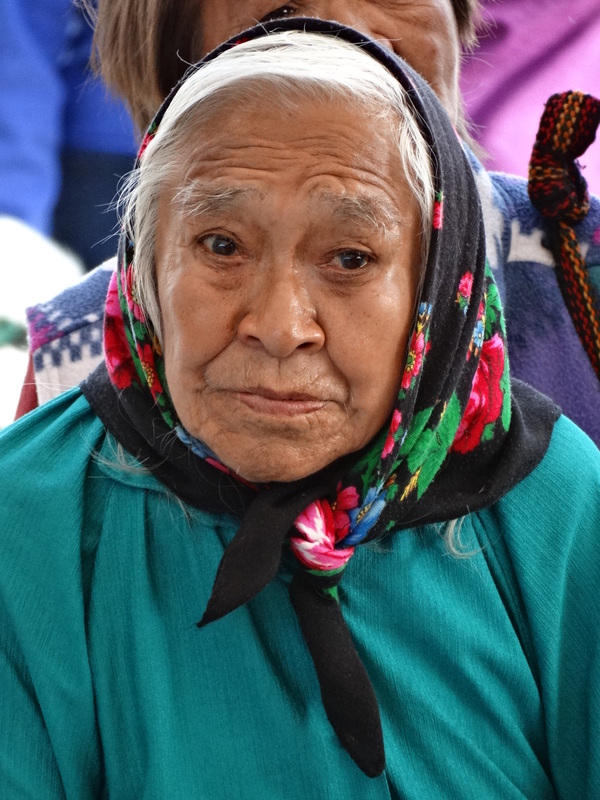 Although communities have regular air services, only a few can be reached by road, such as Tetlit Zhee and Tsiigehtchic. J. Helm, ed, Handbook of North American Indians, Vol 6; Subarctic (1981). Vuntut Gwitchin First Nation and Shirleen Smith, People of the Lakes: Stories of Our Van Tat Gwich’in Elders (2009). Vuntut Gwitchin First Nation et Shirleen Smith, People of the Lakes: Stories of Our Van Tat Gwich’in Elders (2009).